The beetroot of my childhood was the pickled variety out of a jar. I thought that was the only way to eat beetroot and I was not a fan! Thanks to the superfood revolution, fresh beetroot has become very popular again having found favour with chefs and food writers alike. According to an article by Khaleda Rahman in Mailonline weekly sales of beetroot in the UK now exceed £1 million. I had a lovely beetroot and lentil salad in Gail’s cafe recently, which prompted me to have a go at creating my own salad with this purple taproot of the beet plant. I’ve never cooked beetroot before so had to refer to my trusty “Vegetable Book” by Grigson to learn how! 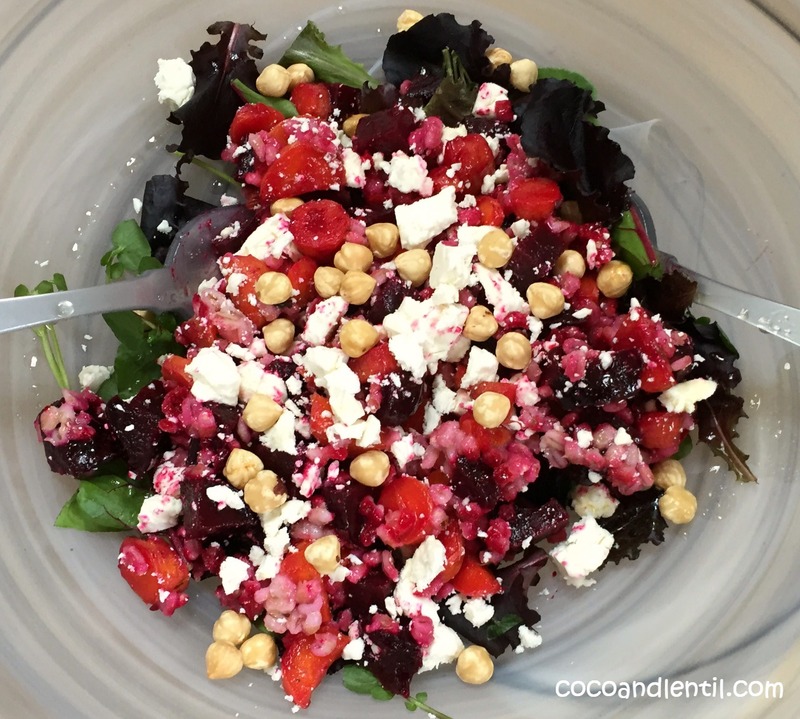 It takes a while to cook the ingredients for this salad, but you can do everything in advance. 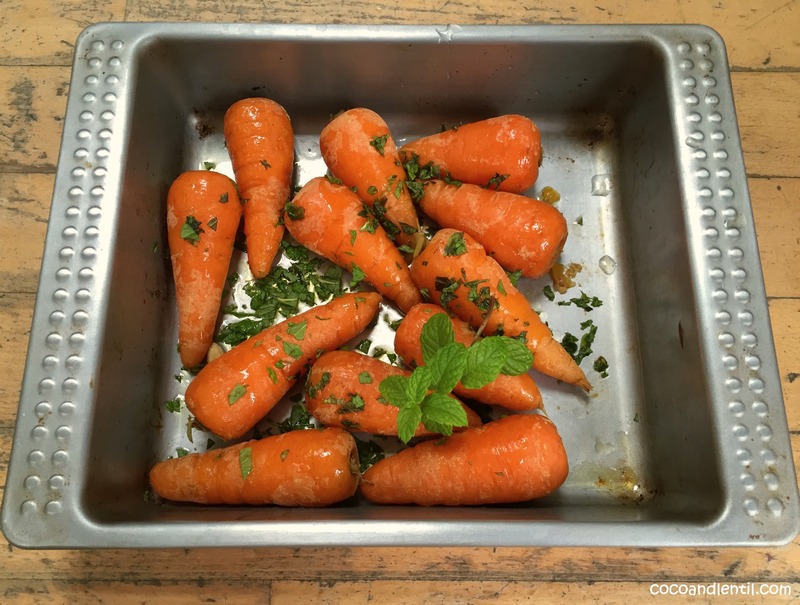 The beetroot and carrots are oven baked so once you set the timer you don’t need to watch over them. 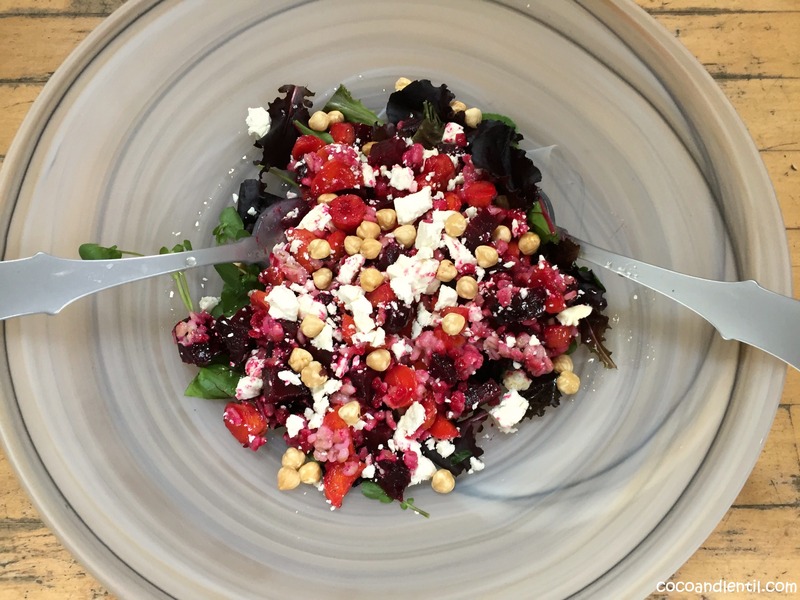 Of course, I also think the flavours in this yummy salad are worth the cooking time and I hope you’ll agree. 160g Barley (pearl barley is fine, but hulled barley is supposed to retain more nutrients although can be harder to find). I usually make my dressings in an old jam jar so I can close the lid and give it a good shake to mix it well. Always taste your dressing too with a piece of fruit or veg from the salad before adding to the rest of the salad and adjust, if necessary. 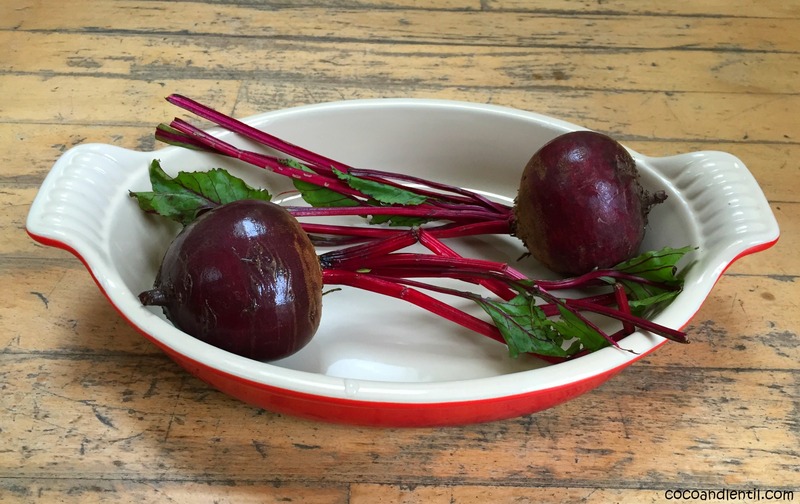 Gently wash the beetroot to remove any dirt, place in a baking tray and cover with tinfoil. Bake the beetroot in oven for about 3 -3 1/2 hours at 150 (130 fan). To test if the beetroot is cooked Grigson suggests wrinkling the skin and if it easily comes away from the root it is cooked. Leave to cool, peel and chop. Meanwhile add the carrots to boiling water and boil for about 10 minutes to soften. Then drain and place in a baking tray. Drizzle with some olive oil and lemon juice and sprinkle with the mint. Cook in the oven for one hour at the same temperature as the beetroot. Remove and leave to cool. Remove the ends and chop. To cook the barley, first rinse it in cold water, place in a large saucepan and cover with cold water. Bring to the boil, drain, return to the saucepan and cover again with about 300 ml cold water. Bring to the boil, cover and simmer for about 1 hour (until tender), stirring occasionally. To make the dressing add all the ingredients except the olive oil to a jar, close the lid and shake well to combine. Then add the olive oil, close and shake again. Test the flavour with a carrot or piece of beetroot. To construct the salad, arrange the spinach / mixed leaves at the bottom of your bowl. Place the barley, beetroot and carrots on top. Then break in the feta cheese and add the hazelnuts. Drizzle with the dressing or serve on the side.